I really enjoyed this book, but could not give it that high of ratings because of the magic contained in it. I am not a big fan of magic...so... but anyway, I thought it was a good book. 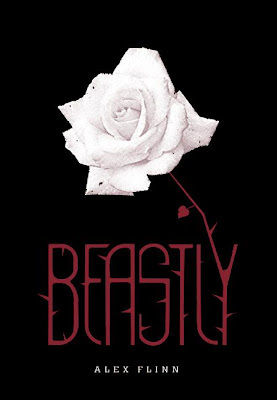 It was a retelling of Beauty and the Beast, with a slight twist, it is in modern times, to be exact, in NYC. I really like the story line, I mean, what is not to like???? It was about finding true love, and not caring what that person looked like. Which I think is very important, because I believe that if you are going to fall in love, it should not be about their looks. Well anyway, I really liked the book, and recommend it to people who like fairytales, or just good books. I had to read this book for school and I ABSOLUTELY LOVED IT!!!! It was AMAZING!!!! I HIGHLY RECOMMEND this book. It is a very good book. It takes place in the time of Reign of Terror, that occurred in France. I loved the plot because it had so many twists and turns, that left you wanting more, and wondering. I many a time had a smile on my face because of the cunning of the elusive Scarlet Pimpernel. It was a great book, and I thought that the characters were depicted very realistically, because it showed their mistakes along with their accomplishments. It also showed their weaknesses. All in all this was a FABULOUS book, and I recommend it to everyone who enjoys historical fiction that involves true love, and much action.